Is 7 and other numbers like 3, 10, or 40 purposely used as symbolic numbers by Old Testament writers? Does the number 3 represent the Trinity whenever it is found in Scripture? How about the number 40? Does it represent judgment because it conjures up images of the Flood (40 days and nights) or the Wilderness Wanderings (40 years)? 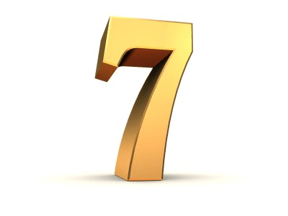 Where do we get the notion that the number 7 represents completeness or perfection? These are important questions because we sometimes hear Bible teachers and preachers speak about biblical numbers with the assumption that particular numbers carry certain inherent ideas or meanings in them. In this article we will look at the question of whether the Bible contains symbolic numbers, and if so, how we determine their symbolic meaning. 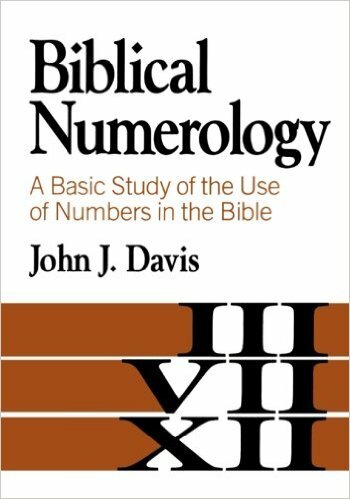 This post is the third in a series on biblical numerology (for the other two posts click here and here) and is mostly based on the insights of John J. Davis’s book of the same title. Where Did Symbolic Numbers Originate From? As Davis notes, “. . . nowhere in Scripture is any number given any specific theological or mystical meaning” (p. 119). Since we cannot turn to a passage in Scripture which states, “the number 3, or 10, means such and such,” it’s important to ask, “Where do these assigned meanings for numbers come from? Although there is some evidence of numerical symbolism among the ancient Mesopotamians, a true systematic treatment of numbers begins with the sixth century B.C. Greek philosopher Pythagoras. Pythagoras developed this numerical mysticism in Greece and Italy and it then spread to Palestine (pp. 108-109). Thus Davis concludes that, “. . . the development of number symbolism and mysticism with regard to theological precepts must be traced to Pythagoras and not to the writers of the Old Testament” (p. 109). If Davis is correct, then we should not look for any numerical symbolism in the Old Testament. The one exception to this is the use of the number 7. Literature from Mesopotamia, as well as Ugarit, provide abundant evidence that the number 7 was used in a symbolic way to represent totality or completeness. The use of the number 7 and its multiples (e.g., 70) in the Old Testament seem to substantiate that this number did (at times) carry symbolic value in the Scripture. To cite two examples, the number 70 in relation to the Map of Nations in Genesis 10 and the descendants of Jacob in Genesis 46:26-27 is clearly not an exact literal number but seems to carry symbolic meaning (see any modern commentary on Genesis for a discussion of this matter). Symbolic Numbers in the New Testament? 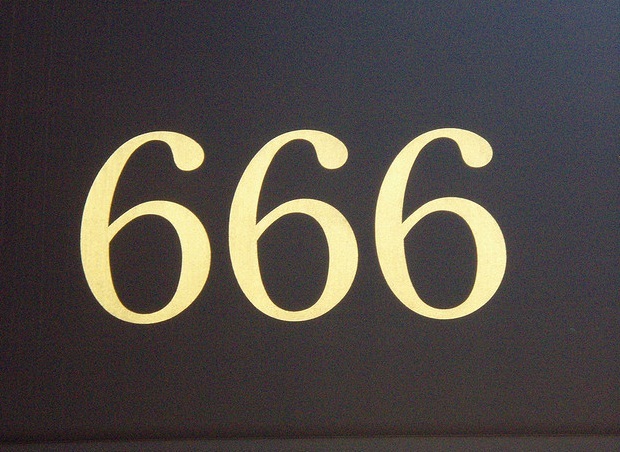 According to Davis, biblical numerology does not solve the mystery of the symbolic number 666. Davis notes that during the intertestamental period there was “a significant period in the development of symbolic numbers” (p. 109). He also notes evidence for this among various books of this period, as well as literature from Qumran. This being the case, it certainly opens the door to the question of whether symbolic numbers might be found in the New Testament. Davis remains conservative in his assessment, however, assigning only the use of the number 7 as symbolic. Although the number 666 in Revelation 13:18 is said to stand for the name of the Anti-christ, and thus many see this as evidence of Gematria, Davis remains cautious here noting the many unsuccessful attempts at identifying the Anti-christ. He is also skeptical about coming up with a meaning for the 153 fish in John 21:11, noting that there are at least eighteen different interpretations that have been offered for the meaning of this number (p. 147). Although I am in large agreement with Davis regarding symbolic numbers, his conclusions seem overly conservative. The number 12 being an example that he overlooks. Davis’s study has gone a long way in convincing me of the arbitrariness of much of what is passed off as biblical numerology (see more on this below). Still, I wonder if his assessment is overly cautious. For example, he makes no mention of the number 12 and its possible symbolic significance. Are the number of elders around the throne mentioned in various passages in Revelation (Rev. 4:4, 6, 10; 19:4) an accidental combination of 12 + 12? One also wonders about the 144,000 mentioned in Revelation 14:1ff. Although some interpret this number literally, the fact that this number includes a factor of 12 x 12 (x 1000) at least opens up the possibility that it is more than literal. 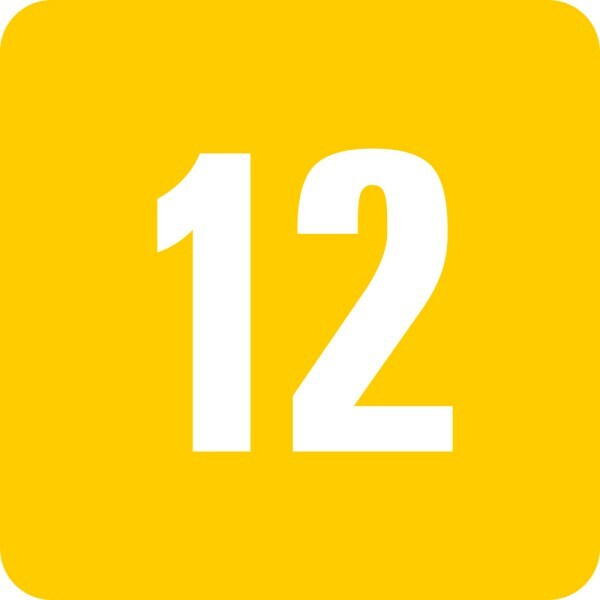 There would also seem to be good biblical precedent for a symbolic meaning of the number 12 (the tribes of Israel, the apostles). Davis seems most comfortable with symbolic numbers being present in Apocalyptic literature, while he is much more cautious with other types of biblical literature. Again, the use of multiples of the number 12 in Revelation seem more than coincidental. Where Does the Use of Numerical Symbolism in the Church Originate? 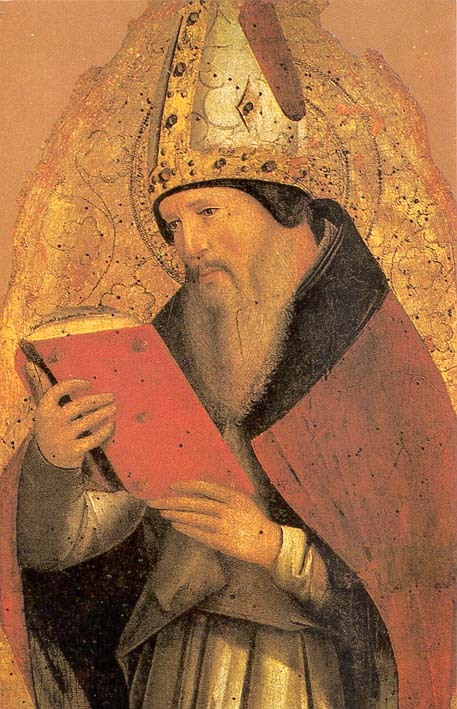 The influential theologian Augustine developed a system of meaning for certain numbers. Finally we must ask, “Where do the interpretations of symbolic numbers, often considered infallible in the Church today, come from?” The short answer is, the Jews received it from the Greeks (the Hellenizing influence which was so prevalent from the 3rd century B.C. onwards). It was later adopted by Gnostic groups, and while the early church rejected gnostic teaching, many of the early Church Fathers were impressed with the value of numerology as an apologetic tool (p. 129). According to Davis, “It was Augustine who gave the final stamp of approval to number symbolism” (p. 113). On the Jewish side of things, the use of symbolic numbers became an important aspect to Medieval Kabbalistic literature (a feature inherited from the Talmudic and Midrashic literature–p. 115). Thus many of the interpretive schemes utilized today have their origins, not from Scripture, but from the Greeks, gnostics, and early Church Fathers. One could argue that the number 7 also takes its symbolic interpretation from Ancient Near Eastern literature, not from Scripture. The difference is that the number 7 had this meaning within the cultural milieu in which the Bible was composed, whereas the New Testament writings were completed before the gnostic and early Church Fathers’ use of symbolic numbers. In other words, a common cultural understanding of the number 7 could have influenced the biblical writers of both Old and New Testaments, but such would not be the case with today’s symbolic interpretations that come from either gnostic, Church Fathers, or Kabbalistic interpretation. How Reliable Are the Symbolic Interpretations of Numbers Today? Books, such as this popular one by E.W. Bullinger, set forth interpretations of biblical numbers that are arbitrary. The first problem with the symbolic interpretations of biblical numbers is that no one seems to agree on their meaning. Davis gives the following example regarding the number 3. “J. Edwin Hartill, for example, says that three is the number of . . . union, approval, approbation, co-ordination, completeness, and perfection. He provides only thirty to forty proofs for this conclusion which is interesting in the [sic] light of the fact that the number three occurs over 450 times in the Bible. Terry, on the other hand, feels that the number means ‘Divine fulness in unity, the number of God.’ Lange, after study of the number, concludes that it signifies ‘Life, spirit, new life, resurrection, unclean spirits, etc. '” (p. 121). Not only does each author come up with their own understanding of the number 3 which differs from others, but even their own definitions include many different ideas. How is one to choose between all of the choices? (For further examples of this confused interpretation, see Davis’s charts on pp. 122-123). A second problem, well illustrated by Davis, is the arbitrariness of the “facts” selected in “proving” various truths about the Bible. One example cited by Davis is the supposition that people who are really important, or ideas that are significant, occur in the Bible as multiples of the number 7. For example, the name Moses occurs 847 times in the Bible (7 x 121). To show the arbitrariness of this observation, Davis notes some other facts. Aaron’s name occurs 351 times in the Bible, since this is not a multiple of 7 does this mean Aaron is unimportant? The Canaanite god Baal occurs 63 times in the Bible (7 x 9) does this make him more important than others whose names are not mentioned as a multiple of 7? For example, Elijah’s name occurs 69 times, only 6 more than Baal and not a multiple of 7! (p. 138). Davis provides other examples demonstrating that it is the selectivity of the evidence that often provides the “stunning” results. He rightly concludes, “There is no objective basis for controlling this methodology. The interpreter selects his words, and the combinations of numbers that he wishes” (pp. 148-149). If one observation doesn’t reveal the hoped for result, it is ignored or the data is slightly adjusted, as for example, if the numbers don’t add up, but the “neighboring numbers” do, then this is considered further proof for the interpretation being set forth. As Davis notes, anything can be proven with such subjectivity. One humorous example points out that the Declaration of Independence was signed in 1776. This must be Divine happenstance because, after all, there are two 7s in this number, plus the other numbers 6+1 add up to a third 7! There is much to learn from Davis’s book Biblical Numerology. He presents important information concerning where our current interpretations of biblical numbers derive from. He also demonstrates the contradictory nature of many so-called numerical systems. Rather than unlocking some secret key to biblical interpretation, they are built on suppositions, selected “facts,” and outright misinterpretations. However, this is not to say that there is no use of symbolic numbers in the Bible. Davis presents clear evidence for the use of the number 7 as symbolic. I would add that Davis is a little over cautious and suggest that the number 12 is also (at times) used symbolically in the Scripture. The same may be true of other numbers, but it is important to substantiate any symbolic use by both cultural and biblical context. There should be clear evidence within the cultural world of the biblical author that a number was used in a symbolic way, and there should be evidence within the context of the biblical passage itself that a symbolic usage is being employed. Previous PostPhilistine Cemetery Discovered!Next PostAre the Seven Days of Creation Literal?